Uniquely, our skilled team manufacture all of our traditional canvas pole marquees in-house. 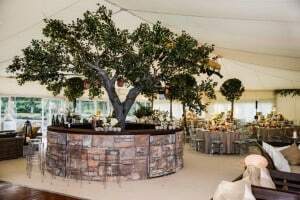 The marquees feature wooden interior poles, elegant high peaked roofs and external guy ropes, creating a beautiful, traditional ‘Country Fayre’ look and feel. The internal poles can be wrapped with lining or dressed with floral arrangements to create an lovely internal feature unique to your event. Traditional pole marquees have recently seen a resurgence in popularity, they look beautiful in a country setting and although they can be lined they also look great unlined, adding to the rustic, shabby chic look and feel that has recently come back into fashion. Canvas marquees are breathable and therefore ideal during the summer months. We can supply our traditional pole marquees with either matted flooring or boarded flooring with carpet; they can be lined or unlined and decorated or themed to your individual vision. As pole tents require guy ropes to secure them in place they need to be situated on on a grassed area. If you need to put your marquee on an area of hard-standing such as a tennis court or car park then you will require a frame tent, also a fantastic and popular option.